This is the remark by Mr Nguyen Thanh Phuong, General Director of Sao Do Group, the investor and developer of Nam Dinh Vu Industrial Park, one of the largest and most modern industrial parks in Hai Phong City. 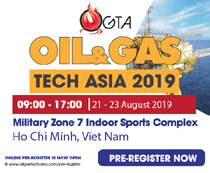 To actively prepare for a new wave of investment, Sao Do Group is carrying out many promotion support programmes to provide utilities and added value for investors, enabling the group and its tenants in Nam Dinh Vu Industrial Park to grow together. 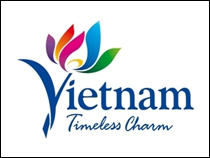 Vietnam Business Forum Magazine has an interview with Mr Nguyen Thanh Phuong on this topic. Hoang Tham reports. Why did you choose the sea encroachment for construction of Nam Dinh Vu Industrial Park - An investment plan considered risky at that time? First of all, Sao Do Group determines that economic development must be linked to environmental protection and community benefits. With the designed scale of this industrial park, the recovery of agricultural land will disturb people’s livelihoods and social security. Secondly, Hai Phong is a coastal city and Sao Do Group must build a large industrial park to have enough utilities for investors. Thus, the 1,300-hectare Nam Dinh Vu Industrial Park is planned to have all necessary utilities and services from seaport, logistics and petroleum depots to non-tariff area and supporting utilities. With such facilities, we believe that the project will be a success. 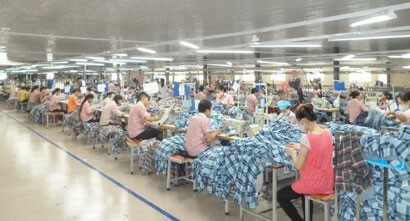 What is the advantage of Nam Dinh Vu Industrial Park over other competitors? 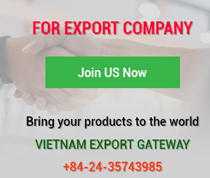 Nam Dinh Vu Industrial Park is situated inside Dinh Vu - Cat Hai Economic Zone and it thus enjoys best and highest preference policies applicable in Vietnam for the time being. It is linked to a multimodal transport network. For example, by sea, it has a port area on the Bach Dang channel, a gateway to Hai Phong Port and Dinh Vu Port connected to Lach Huyen Port. By road, it is joined to Hanoi - Hai Phong Highway and Tan Vu Road and near to the downtown of Hai Phong City and Cat Bi International Airport. In addition, the industrial park is capable of delivering various service sections for tenants as mentioned above. For its part, Sao Do Group is committed to working with and supporting investors when they have projects in the park and providing them with free legal support like business establishment, investment licensing, land-use certification and export permit. With all these factors, I believe that Nam Dinh Vu Industrial Park has a lot of advantages over its rivals in shaping the best investment environment for investors. 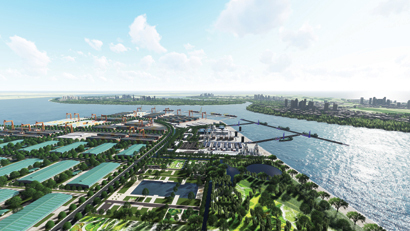 Not only impressing the market with its industrial park project linked to deep-water ports, Sao Do Group is also a prestigious real estate investor for the past 16 years, as evidenced by a series of giant projects such as Sao Do 1 and Anh Dung 2. For you, what are essential to business success? We affirm that the current maturity of Sao Do Group comes from its own ongoing efforts (internal strengths) and the trust and companionship of customers and investors. With these two factors, Sao Do Group has gradually turned them into their own strengths. As for internal strengths, Sao Do Group always opts for potential and sustainable projects that fit its competencies. The group has progressively set up member companies and associate companies with capable partners to supplement each other’s competencies and support each other in business operations to rack up business pillars of Sao Do Group. For customers, guided by motto “the customer’s success is Sao Do Group’s”, Sao Do Group always keeps its promises and places interests of the community and customers ahead of the company. In a rapidly transforming world, particularly under the influence of the Fourth Industrial Revolution, designing a policy system that not only attracts but also utilises FDI is a challenge for authorities. Therefore, the Prime Minister has assigned the Ministry of Planning and Investment to host a review conference on 30 years of FDI attraction in Vietnam. Do you have any recommendations to the Government? We have to admit that we are just good at drawing much foreign direct investment (FDI), i.e. many in projects and high in value. However, the technological content and added value of FDI projects are not as good as we expected. To lure high-quality projects to maximise FDI fund, in my opinion, I need to do well the two following things. 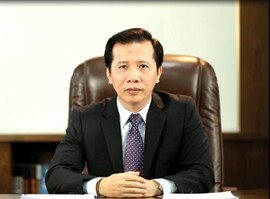 From a small business with an authorised capital of just VND6.8 billion in 2002, Sao Do Group has now become a private multi-business group with four subsidiaries, namely Petrol Sao Do Joint Stock Company, Sao Do Construction Joint Stock Company, Sao Do Technical Construction Materials Trading Company Limited and Hai Phong Port Service Joint Stock Company. 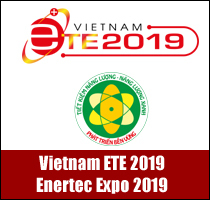 Sao Do Group is also engaged in associate companies, such as Nam Dinh Vu Port Company, Nam Dinh Vu Power Company and Nam Viet Environment Treatment Company. In 2017, Sao Do Group achieved total production value of more than VND1,321 billion, of which revenue reached over VND724 billion. 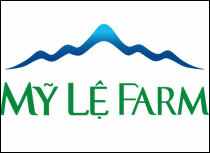 The company made a profit of over VND70 billion and paid more than VND75 billion to the State Budget. Firstly, we need to have good policies to support and upgrade domestic enterprises to meet requirements imposed by value chains run by FDI firms because very few local companies are qualified to be vendors for big brands such as Samsung and LG, let alone create comparable products to those made by FDI firms. At the same time, we must step by step invest in building technical infrastructure and information technology to absorb high-quality capital flows. Secondly, we must review what we have gained and what we have lost after 30 years of FDI attraction to have better policies for the coming time. However, in my opinion, at this moment, we need to be more selective with FDI inflows. We need to choose projects making good added values and not causing negative impacts on the environment. Do you think carrying out the Government’s FDI attraction guidelines and policies for Hai Phong City in the past years has been able to tap the city’s potential and strengths? How has Sao Do Group caught the FDI wave into Hai Phong City? Hai Phong City has attached much importance to improving the business and investment environment and drawing FDI flows in the past years. In addition to specific action plans to introduce the city and support the business actively, the city has adopted many consistent and effective solutions and plans to carry out Resolution 19/NQ-CP on business environment improvement and Resolution 35/NQ-CP on business support and development. It has also set great stores by building infrastructure facilities that connect economic spaces. 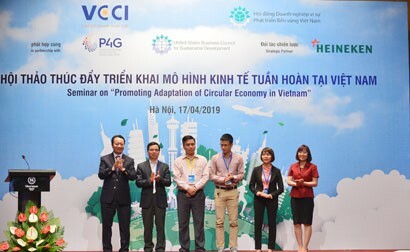 However, in order to woo FDI enterprises to unlock local potential and strengths, Hai Phong should reform its administrative procedures more vigorously in order to create more favourable conditions for investors. Amidst the country’s deep integration advanced by a series of new-generation free trade agreements, Hai Phong is expected to become an ideal destination for foreign investors. To actively welcome the new wave of foreign investment, Sao Do Group is carrying out many promotion support programmes and providing utilities and added values for investors, enabling the group and tenants in Nam Dinh Vu Industrial Park to grow together.